Checklist for buying used Maruti SX4; is it a good deal? If you are planning on buying a used sedan, one of the best cars to look for in the market is the Maruti SX4. This car is robust, well-built and fuel-efficient, especially the diesel, but interestingly among all Maruti cars this does not hold its resale value too well, and isn’t doing too well among new car sales too. 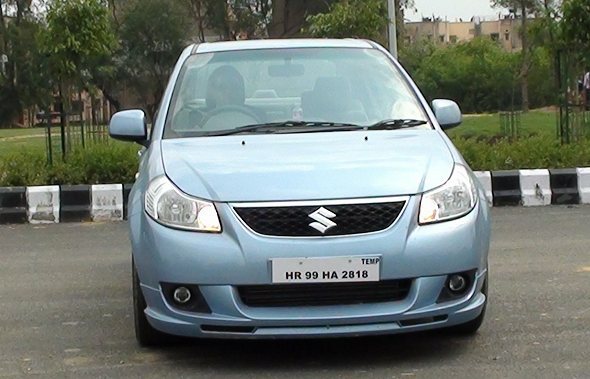 In 2010, Maruti launched two diesel variants of the SX4 with a 1.3 litre multijet diesel engine putting out 89 bhp of power and 200 Nm of torque. Though this was a fuel efficient diesel with over 20 kmpl claimed mileage, it hasn’t really captured buyers’ fancy. The same year Maruti also offered a CNG powered, dual-fuel variant of the SX4 for those looking at low running costs. The SX4 has a pretty sturdy suspension and good ground clearance. Hence many of them are driven around quite carelessly, and although they can take quite a beating, this takes its toll on the suspension. One of the few things to check with the suspension is the condition of the shock absorbers, which tend to last about 40,000 km or so. Also check the tie-rod ends, especially if you hear rattling from the front suspension. Overall, the Maruti SX4 is a relatively easy to maintain car and will last you a long time if you maintain it well. It is one of the best cars you can get in the used car market.